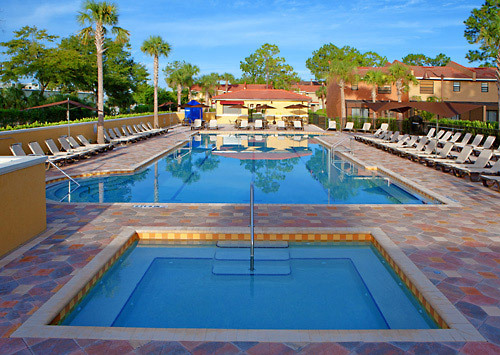 Featuring Mediterranean-inspired accommodations near Walt Disney World® Resort, Fantasy World Resort offers two-bedroom, two-story townhomes with full kitchens, washer/dryer units, separate living and dining areas, flat-screen TVs and complimentary Wi-Fi. 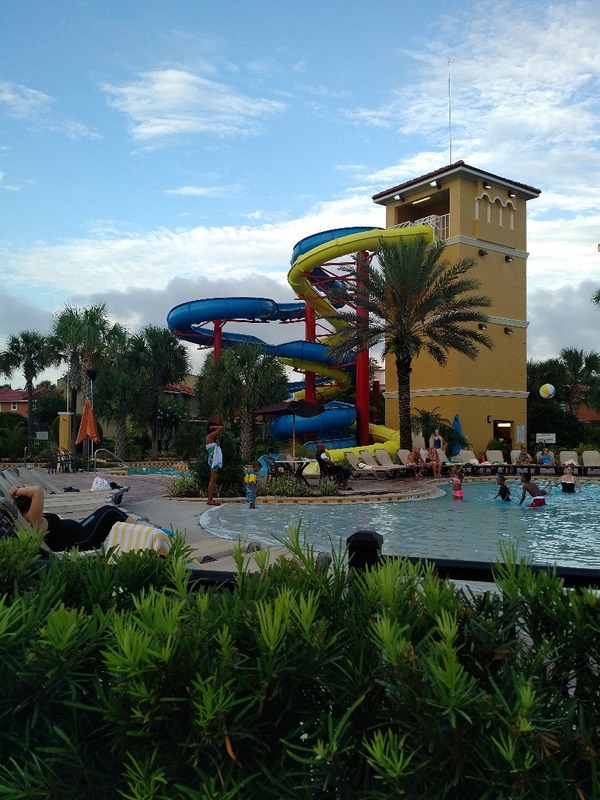 The resort also features an expansive outdoor pool area with a lazy river, two waterslides, two hot tubs and a children’s splash area. Located 7.4 miles from Epcot and 8.7 miles from the Magic Kingdom. Enjoy complimentary scheduled transportation to Walt Disney World®, Universal Studios Orlando & Sea World. Take the free shuttle to Lake Buena Vista Factory Stores. Participate in scheduled daily activities for guests of all ages. Each unit are 2-stories and include full kitchens and free Wi-Fi. 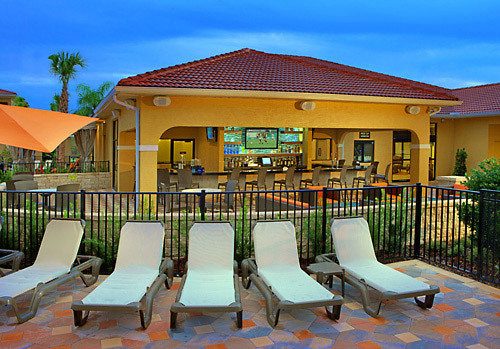 Featuring a newly renovated pool area with lazy river, water slides and zero-entry pool. Sports activities area with batting cages, tennis and basketball courts. 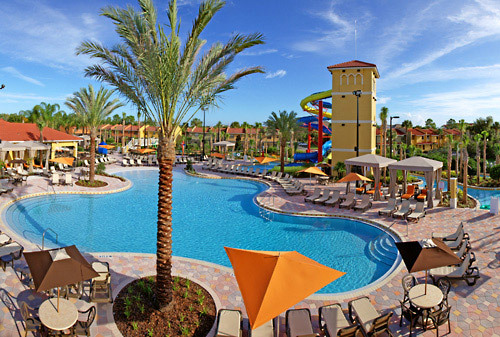 FantasyWorld Resort offers two bedroom/two bath townhomes that sleep up to six guests. Townhomes feature a full size, fully equipped kitchen and living and dining room highlighted by a screened porch. 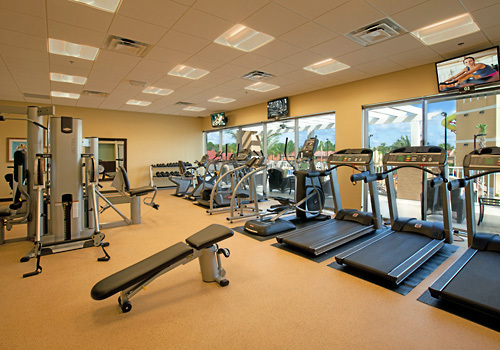 Resort amenities include 3 swimming pools, 5 lighted tennis courts, lighted basketball court, playground, shuffleboard, game room, activities center, business center, exercise room, and lobby lounge/pool bar. Complimentary scheduled transportation to Disney, Universal, and Sea World is provided. Complimentary wireless is available in all the townhomes. 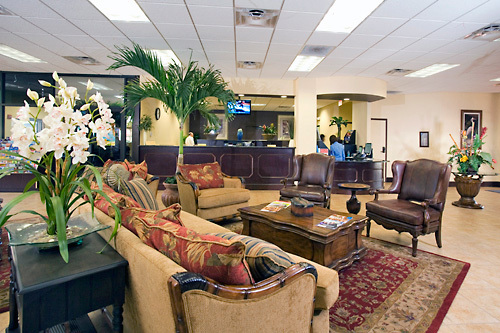 Daily scheduled activities are available for all ages. 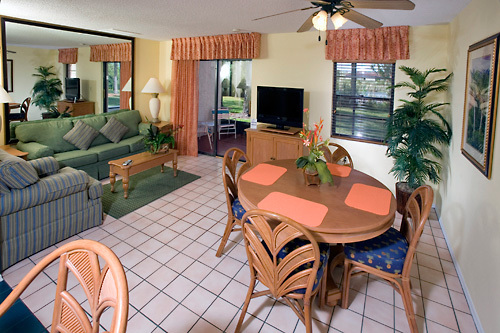 Note: A daily resort fee of $17.03 is collected by the hotel upon arrival. A security deposit of $100 as a credit card authorization or $100 cash deposit is required at registration. Renovation Update: The smaller lap pool will be closed as of Aug 20, 2018 for approximately 2 weeks. Since this is an outside project we will have to depend on the weather and cannot give an exact date for completion. Guests will still be able to enjoy the main pool, lazy river and water slides. 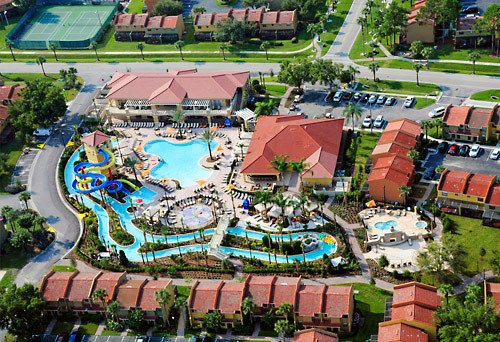 How many units are available at FantasyWorld Resort? There are 302 units total. All units have two floors and have a townhouse layout. Does FantasyWorld Resort charge a resort fee? 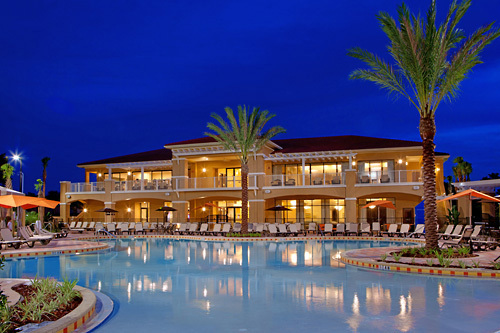 Yes, there is a $16.95 nightly resort fee due upon arrival. Does FantasyWorld Resort provide shuttles to the theme parks? FantasyWorld Resort offers complimentary scheduled shuttle service to Disney, Universal, Sea World, and the Shops at Lake Buena Vista. The Disney shuttle has 2 departures in the morning and 2 returns in the evening. The Universal and Sea World Shuttle has 1 departure in the morning and 1 return in the evening. The shopping shuttle has one pick up at the resort, but several returns in the afternoon and evening. 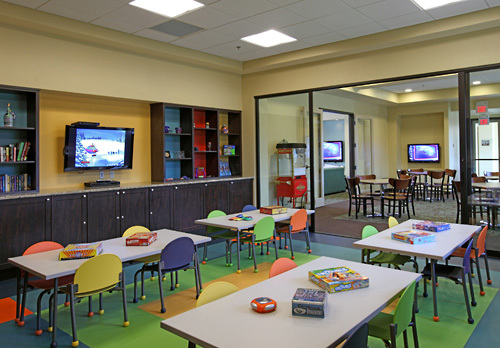 What is the minimum age required for check-in at the resort? 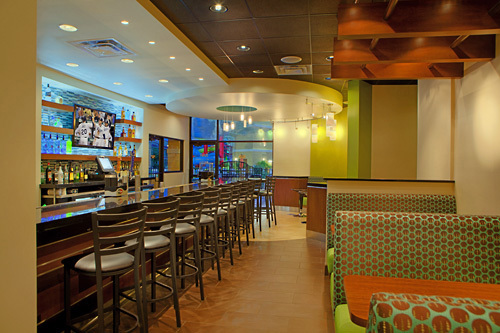 Do you have a restaurant, lounge or gift shop on-site? There is a lobby lounge and pool bar that serves light fare. They are open from noon-midnight. FantasyWorld Resort consists of 62 buildings. Cribs are free of charge, but subject to availability. Rollaways are not available. 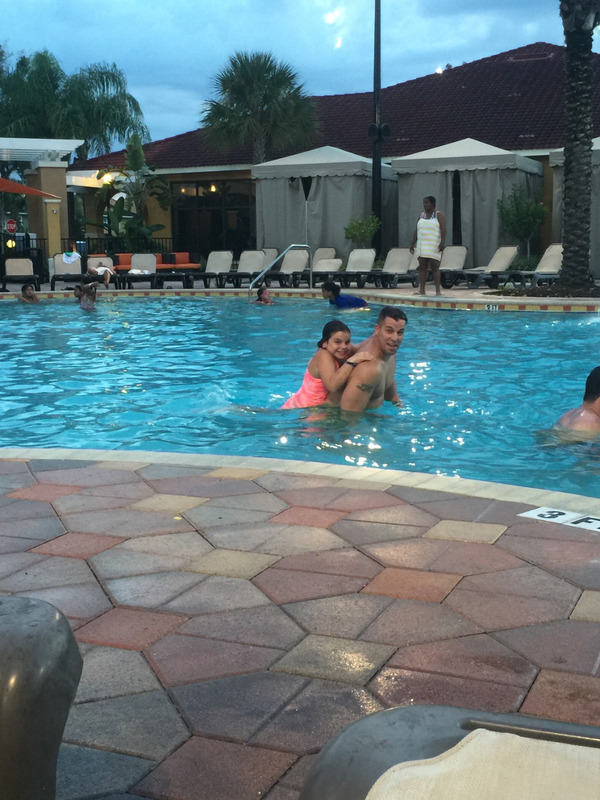 What are the pool hours at FantasyWorld Resort? The main pool is open from 8:00am-midnight. The other two pools are open from 9:00am-11:00pm. Yes. The front desk is open until midnight. If you are arriving after midnight, please call prior to set-up late check-in instructions.